Southern New Hampshire real estate offers and exciting opportunity to find homes for sale throughout southern NH. 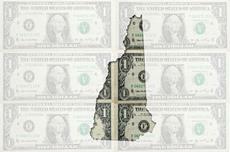 Once you discover the features and benefits of owning a house in southern NH you'll be ready to make your move. Of course one of the biggest advantges of purchasing a home in southern New Hampshire is that in many cases it is the most affordable housing alternative in the greater Boston area.